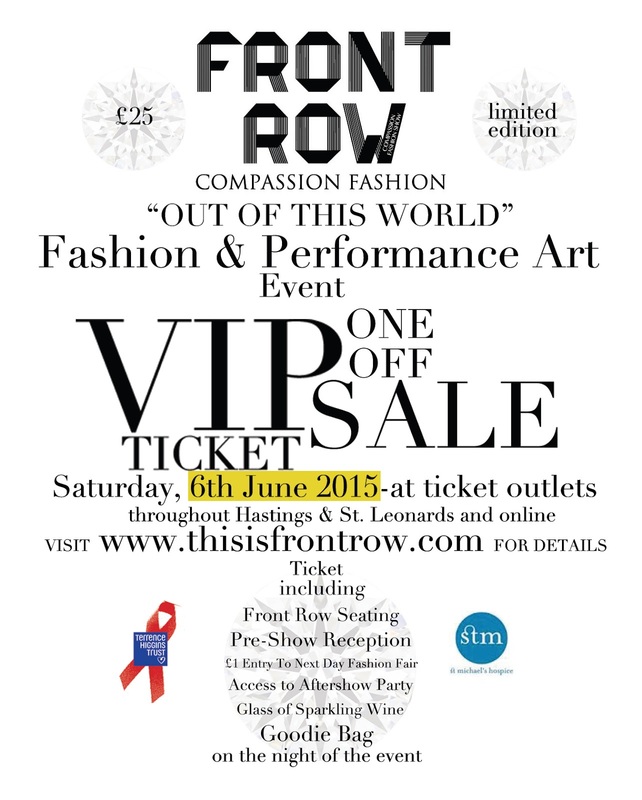 This is FRONT ROW: VIP Ticket Launch Sale Coming Soon! VIP Ticket Launch Sale Coming Soon! I know you all have been waiting for it, so the coveted VIP ticket launch sale is finally (almost) here. 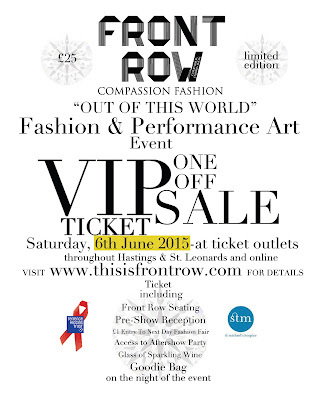 We always release a limited number of preferential FRONT ROW Fashion Show tickets to raise money for the deposit we need to secure the venue, so this has been a very important step along the way to the event each year and the FRONT ROW team would again like to thank everyone who has been so loyally supporting us in the past years! As it says ... if you manage to get your hands on one of these beauties you can consider yourself lucky indeed as you will be entitled to preferential front row seating on the night of the event as well as treated like royalty at our pre-show reception where you will be mingling with other very important persons, a glass of sparkling wine in your hand and walk away with an amazing goodie bag. A VIP ticket also entitles you to free acces to our Aftershow Party where you will dance the night away with hot tunes spun by a top DJ. Please make sure you keep hold of your VIP ticket as it also means reduced entry price to our fabulous Fashion Fair which takes place the day after on Sunday, 22nd November in the large auditorium of the De La Warr Pavilion with 26 stalls of the finest vintage and second hand clothes, shoes and accessories on offer. These tickets will be on Sale Saturday, 6th June at a venue yet to be announced so keep on checking the website as well as our Facebook Page 'front row south coast'. We don't know about you, but WE CAN'T WAIT! The FRONT ROW 'Compassion' Fashion Show 2015 will be epic with 10 Designers confirmed so far, performance art, music, art performances and installations throughout the whole of the De La Warr Pavilion on Saturday, 21st November and the Fashion Fair Sunday, 22nd November. We will truly be going 'Out of this World'.